This great national monument of Egypt has no equal. 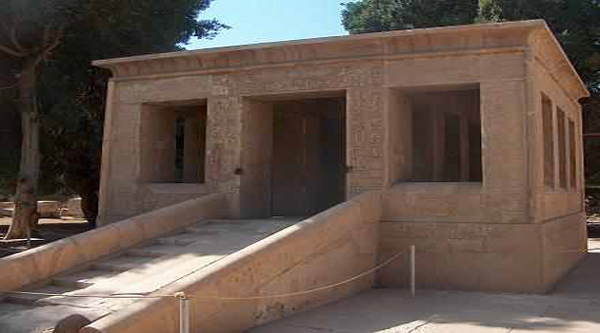 The temples of Karnak are a great historical record and a new historical addition to it is open air museum as it contains chapels, pylons and gates which were built by the pharaohs of Egypt over a period of 20 centuries not only to glorify their gods but to preserve a record of their achievements. 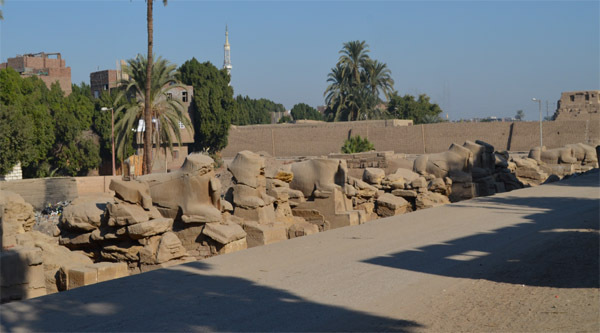 Karnak monuments without doubt give us clear historical evidence for the events which occurred in Egypt during its period of renaissance as well as periods turmoil. It is not just a single temple, but temple within temple, shrine within shrine, where almost all the pharaohs, particularly of the new Kingdom, wished to record their names and deeds for posterity. Though most of the structures were built in honour of Amon-Ra, his consort Mut and son Khonsu, there were numerous shrines within the complex dedicated to what might be called "guest deities", like Ptah of Memphis and Osoris of Abydos. 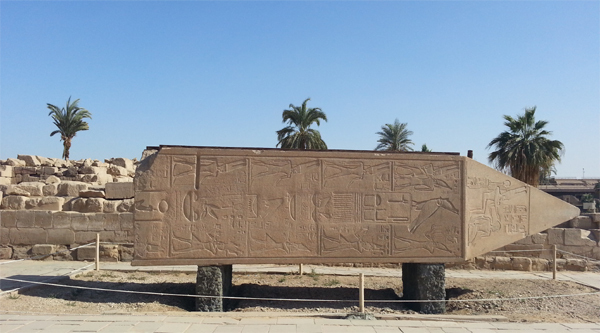 The excavations have been carried at Karnak since the end of 19th century. 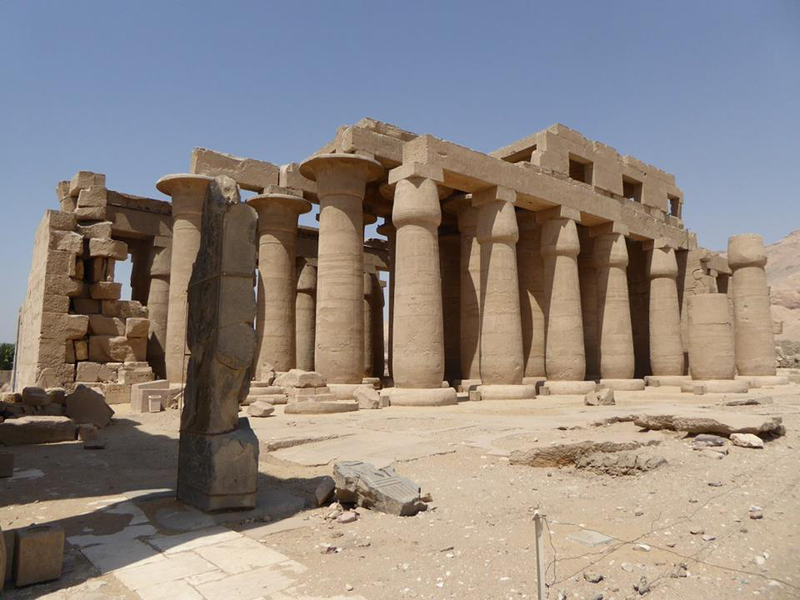 And now if you are touring the open-air museum you can discover masterpieces, forgotten for centuries after their reuse in the great pylons of Karnak temple. The museum is located to the left side of the court yard and costs extra 25LE. The museum displays the most interesting blocks which belong to 3 chapels: The White chapel of Sesostris I, The Alabaster chapel of Amenophis I and The Red chapel of Hatshepsut. 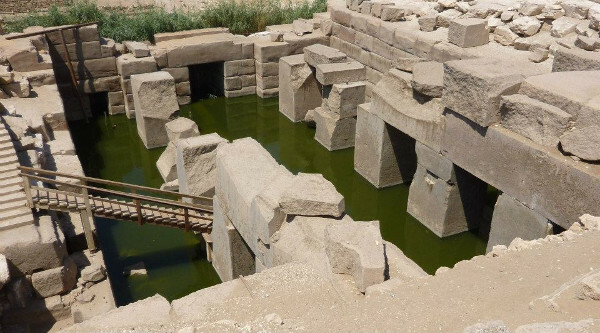 The blocks were mainly discovered during the excavation the interior of the 3rd pylon between 1923 to 1954. Passing through the 1st pylon, we enter the Great Court, which spreads over an enormous area of 8,919 square meters and contains monuments spanning many dynasties. 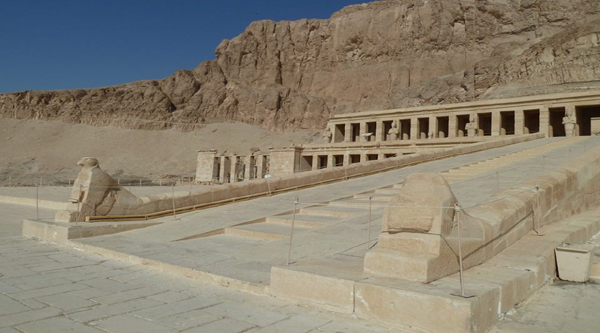 The large shrine of Ramses III to the right designed and built in the lifetime of a single pharaoh, is fashioned after a typical New Kingdom temple. The 2nd pylon dates to the beginning of the 19th Dynasty. The Great Hypostyle hall of Karnak temple with its 134 columns arranged in sixteen rows, covers an area of 4,983 square metres. It is the largest single chamber of any temple in the world. The hall was decorated throughout. All the walls and the shafts of the columns were covered with reliefs & inscriptions showing adoration of the deities, especially Amon-Ra. 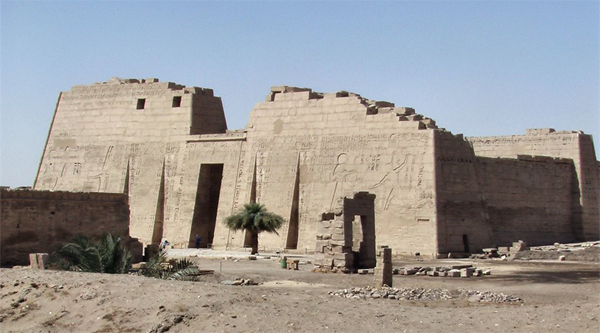 The Third Pylon was built by Amenhotep III and it once formed the entrance to the temple. The 1st major alteration to the original shrine of Amon-Ra at Karnak was made by Thutmose I, he also erected the first pair of obelisks here. He also built 4th and 5th Pylons and his daughter Hapshepsut erected another pair of huge obelisks (29,5 meters made of single block of pink granite) between these pylons. The upper part of the obelisks is now placed near the Sacred lake. Passing through the doorway of the 5th Pylon we enter Thutmose I's second colonnade, which is now very much ruined. Beyond rises the 6th and smallest Pylon erected by Thutmose III and restored by Seti I. Beyond the 6th Pylon we find Hall of Records. 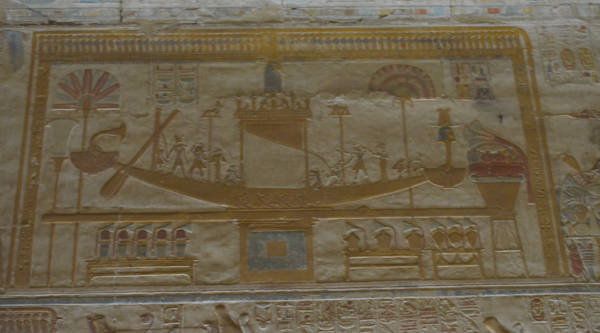 The Boat Shrine lies directly to the rear, it's made of pink granite and carved with fine reliefs. 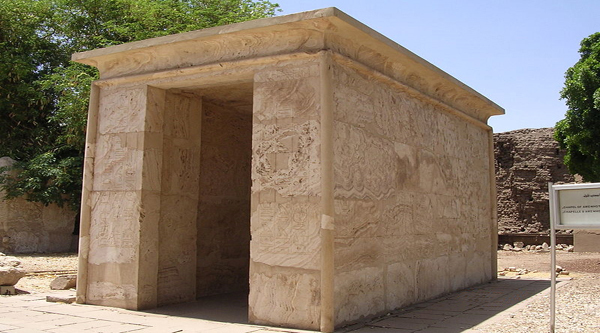 The 1st court of Southern Building was the site of famous Karnak Cachette, where in 1904 thousand of objects were unearthed: stone sculptures, sphinxes, statues of sacred animals, as well as smaller items in metal and stone. There were 47 000 bronze items alone. Sacred lake is the place where the priests of Amon purified themselves and conducted religious rites. 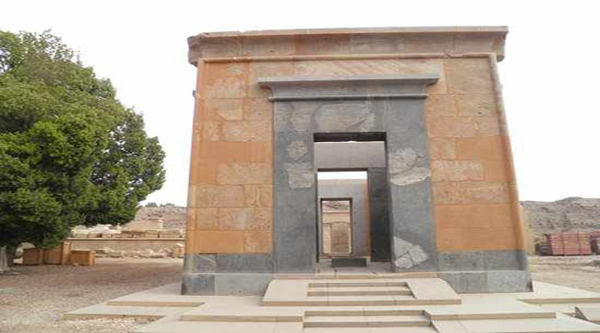 Nearby you will find a huge granite scarab, associated with the Sun-god in the form of Kheper, who was dedicated to the rising sun by Amenhotep III. It was taken from his mortuary temple in the necropolis. The Seventh Pylon was erected by Thutmose III and the 8th one by Hatshepsut. As for 9th and 10th Pylons, they were erected by Tutankhamon and Haremhab. 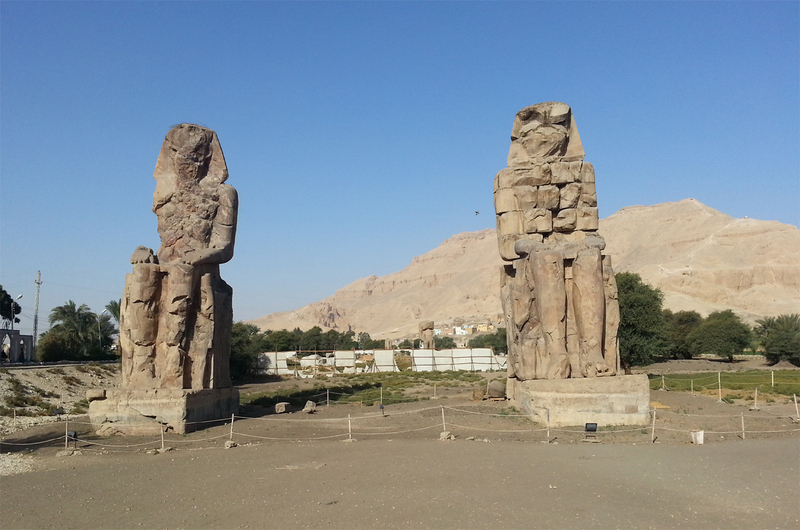 The eastern avenue of sphinxes extends from 10th Pylon to the Temple of Mut. To the west of the Southern Buildings are the temple of Khonsu and the adjoining temple of Osiris and Opet, which was built in the Ptolemaic period.